China and Russia are currently challenging the US leadership of the international system. However, their deepened cooperation is fragile as it reflects a joint reaction towards US power rather than a true strategic alliance. Their views on the Western–led international order also differ decisively. The relationship between the US and Russia is equally imbalanced, as it suffers from conflicting expectations. The US refuses to recognise the great power status which the Russian leadership is desperately longing for. Russia has reacted by adopting a destabilising policy globally and regionally, which furthermore complicates great power relations. The seminar marks the publication of the final report of a research project (Changing Great Power Politics and Its Implications for Finland) funded by the Government Plan for Analysis, Assessment and Research for 2018. The report is entitled The Sino-Russian and US-Russian Relationships: Current Developments and Future Trends. 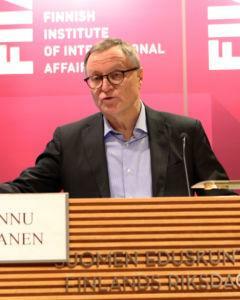 Hannu Himanen was the Finnish Ambassador to Russia from 2012 to 2016. He was Ambassador and Permanent Representative of Finland at the UN organisations in Geneva, (2008-2012) including the Conference on Disarmament and the World Trade Organisation. From 1996 to 2000, he was the Finnish Ambassador in Jakarta. His positions at the Foreign Ministry include Director-General for Africa and the Middle East (2000-2001) and Under-Secretary of State (2003-2008). He was Fellow at Harvard University (Center for International Affairs) from 1995 to 1996 and Vice President at the EastWest Institute (Prague Center) from 2001 to 2002. Mark N. Katz, a professor of government and politics at the George Mason University Schar School of Policy and Government, was a Senior Visiting Fellow at FIIA during April-September 2017. 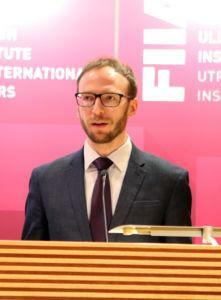 During 2018, he was a Fulbright Scholar at the School of Oriental and African Studies (SOAS), University of London (January-March), was then the 2018 Sir William Luce Fellow at Durham University (April-June), and later returned to FIIA as a Senior Visiting Fellow in order to work on this project (August). His research interests include Russian foreign policy (especially toward the Middle East), changing great power relations, and the international relations of revolution. He is currently a member of the FIIA Scientific Advisory Council. Marcin Kaczmarski currently works as a lecturer in the University of Glasgow. He was a Senior Research Fellow in FIIA in 2018. His research interests include Russia-China relations, Russia’s foreign policy, great-power regionalism. He was a visiting scholar at Aberystwyth University (UK), Chengchi University (Taiwan), Slavic-Eurasian Research Center (Japan) and Aleksanteri Institute (Finland). He combined his scholarly research at the University of Warsaw with policy analysis for the Warsaw-based think-tank, Centre for Eastern Studies, OSW. He is the author of Russia-China Relations in the Post-Crisis International Order (Routledge 2015). 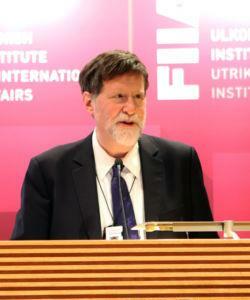 He published recently in International Affairs and Europe-Asia Studies. He blogs on current developments in Russia-China relations at www.RussiaChinaRelations.com. 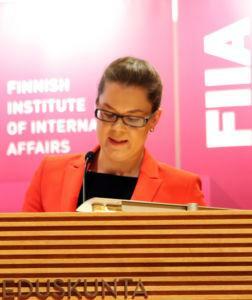 Elina Sinkkonen is Senior Research Fellow at the Finnish Institute of International Affairs. 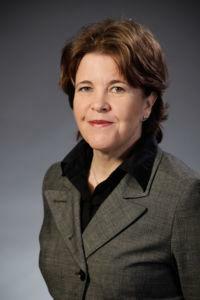 She received her doctorate from the University of Oxford, Department of Politics and International Relations in 2014 and has taught regularly at the University of Helsinki since 2008. Sinkkonen has published on Chinese national identity construction and coedited an award-winning book on new roles of women in Chinese society. Her further research interests include Chinese nationalism, public opinion issues in China, authoritarian regimes, regional security issues in East Asia as well as the domestic-foreign policy nexus in IR theory.